Michigan-based and family operated Capaldi Racing is gearing up for the return of the Detroit Belle Isle Grand Prix this weekend. 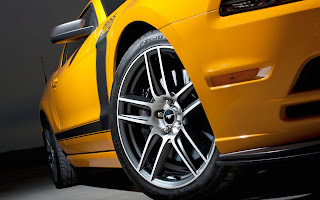 The Detroit area team will be campaigning not just one, but three Ford Mustang Boss 302S race cars in this weekend’s two Pirelli World Challenge races. Adding to the local color, among the three Capaldi Racing drivers will be Richmond, Michigan’s own Craig Capaldi. Craig, who has extensive experience in NASA American Iron and the GRAND-AM Continental Tire Sports Car Challenge, will be making his World Challenge debut in his Wolverine Bronze/Capaldi Racing/Animal Aid Foundation Mustang Boss 302R. Capaldi Racing’s primary sponsor, Roseville, Michigan-based Wolverine Bronze, will be supporting Craig in his first ever street race. Craig is a second generation driver following in his father Leo’s footsteps. Leo Capaldi started racing karts when he was 12 years old and founded Capaldi Racing in 1979. Throughout the 1980’s, Capaldi Racing earned three national sprint titles, and five national enduro titles in karting. In 1990, Capaldi Racing moved to Pro Spec Racer Fords. From there, the team moved on to the Speed World Challenge where they campaigned a Mercury Cougar and a Ford Focus in the Touring Car category. Most recently, Capaldi Racing was a series regular in the Ford Racing Mustang Challenge and has been racing Mustangs in the GRAND-AM Continental Tire Sports Car Challenge and the Pirelli World Challenge GTS Class. In addition to Wolverine Bronze, Capaldi Racing will be working the Animal Aid Foundation, a Detroit area non-profit organization that works to place animals in loving homes and promotes educational programs about responsible pet ownership and the importance of spaying and neutering animals. Capaldi Racing’s goal is to raise awareness of Animal Aid to help them “speak for those who cannot speak for themselves”. The two races will be streamed live at www.worldchallengetv.com. Like Capaldi Racing on Facebook and head over to www.capaldiracing.com for race updates throughout the weekend. This entry was written by by MustangsDaily (Mustangs Daily) and posted here on Friday, June 1st, 2012 at 11:46 am and is filed under belle isle grand prix, boss 302s, capaldi racing, capaldi racing mustang boss 302s, ford mustang boss 302s, Motorsports, mustang boss 302s, SCCA World Challenge, world challenge. This article was not written by us, rather gathered using RSS feeds listed here. We take no credit for this article. You can leave a response, or trackback from your own site.